This cape was designed by Natasha Rambova, the 2nd wife of Rudolph Valentino. Having just completed blog posts on both Natacha Rambova and a two-part piece on ‘Camille’ 1921, I can assure you that the above cape is from the film ‘Salome’, 1923. 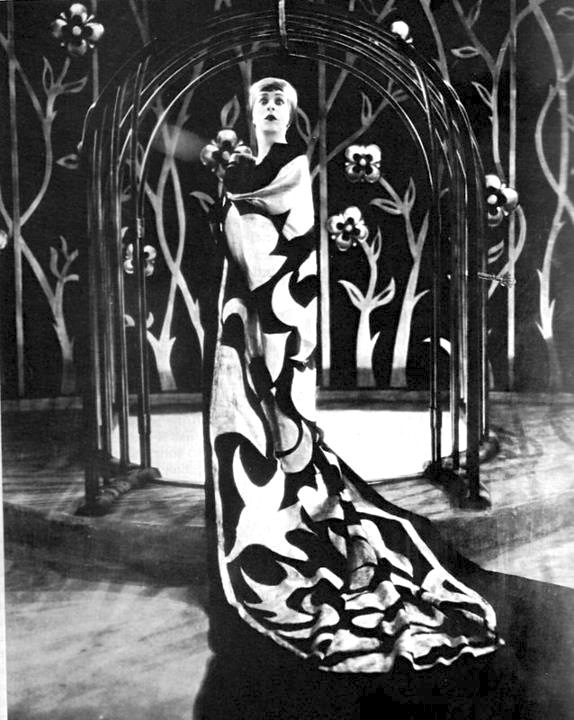 It was also designed by Rambova and inspired by the works of Aubrey Beardsley.